Oil Pulling – A Super Simple Healing Process? I have been reading a lot about the Ayurveda practice of Oil Pulling. As someone who has had sensitive teeth and gums for most of my adult life, I am always curious about exploring oral hygiene practices. The information online regarding oil pulling ranges from the gamut of being a complete hoax to claims of it healing intestinal diseases, heart and kidney disease and sleeplessness. I tend to look for the relatable and common sense benefits that some people share. These include: whiter teeth, less bleeding gums, and a decrease of halitosis. Use 1 tablespoon of oil. Historically this practice used sunflower or sesame seed oil, though today other common oils used include coconut and olive. Swish the oil around in your mouth and gently use suction to pull it back and forth through your teeth for 15-20 minutes. Spit the oil/saliva mixture out in the garbage or down the drain, unless you are using coconut oil which may harden and cause drainage issues. Do not ingest the oil. Rinse your mouth with warm water and follow by brushing your teeth. The best time is first thing in the morning on an empty stomach. I have been doing this for a few days now and look forward to noticing if I experience any benefits for my gums specifically. I will also ask my hygienist to be extra observant for changes in my oral health on my next visit. The following is an informative website on the procedure of oil pulling based on the work of Dr. Karach. 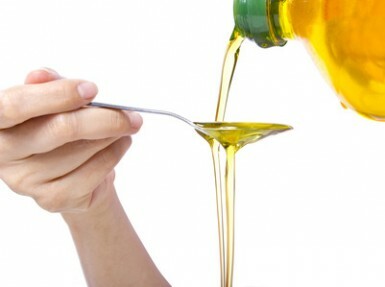 You can find more information on oil pulling from this article by Helen Sanders on HealthAmbition.com. I will post my results here in another 2 months after my next hygiene appointment. I would be interested to learn if any readers have had an experience with this process. I love receiving your feedback. You can connect with me by email or telephone, or click the contact tab at the bottom of the screen if you are reading this post on the website. Don’t forget to join in the conversation on Facebook too! https://in-side-out.com/wp-content/uploads/2017/04/insideoutbanner4a1.jpg 0 0 Karen Armstrong https://in-side-out.com/wp-content/uploads/2017/04/insideoutbanner4a1.jpg Karen Armstrong2016-02-03 09:01:522017-07-24 12:02:59Oil Pulling - A Super Simple Healing Process?